"Dance of Golden Snake" is my favorite Chinese music. I didn't expect it turned out as one of the works of Nie Er who was the composer of People's Republic of China national anthem "March of the Volunteers". Get rid of the old to make way for the new is the custom of Chinese celebrating Lunar New Year. 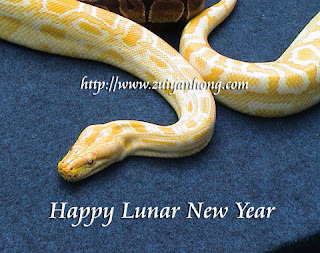 Hopefully during the Golden Snake Year, Malaysians dare to change the old government and achieve the two-party system. Malaysia needs change for better tomorrow.